Pilkington Planar™ has helped create a contemporary state of the art youth centre in Middlesbrough – transforming a derelict Grade II Listed building, as a part of a wider £4.2m revamp. 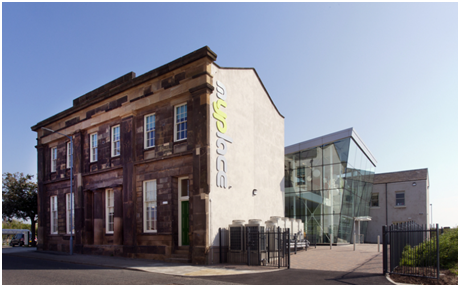 Originally built in 1836, Custom House is now a Myplace youth facility, providing a performance space and dance hall, café, chill-out space and crèche for the local community. During its renovation, many glass products were chosen, carefully considered to benefit the building and its requirements. For example as the façade of the entrance atrium is South West facing, solar control had to be prioritised. Its positioning meant that as the entrance receives a lot of direct sunlight, a glass product had to be chosen that would help prevent it from overheating during the summer months. The answer was the combination of Pilkington Planar™ Sun 70/40 solar control glass and Pilkington Optifloat™. The specification of this type of glass ensures that a maximum amount of sunlight can pass through the façade whilst reflecting away a large degree of the sun's heat. For the side of the glass structure, Pilkington Optifloat™ and Pilkington K Glass™ were specified as solar gain was far less of an issue. Pilkington Planar™ was selected as the structural system, to keep the glazing in place. Opting for this glass product enabled the architects to create a striking, aesthetically impressive façade that made the most of the natural daylight. As a structural glazing system it provided a flush glass surface by utilising stainless steel fittings that are housed in countersunk holes, fixed to the glass facade at the back of the structure. The creation of these kind of façades can be created on any kind of plane and give architects the creative freedom to use it in the most demanding of projects, even allowing for extensions to listed properties and enclosed spaces. See below for the full glass specification for this project. For more information on any of the glass products used during this renovation please visit our product pages for more information.